Directions SHAKE VERY WELL BEFORE EACH USE. USE AS DIRECTED BY A DOCTOR. DO NOT ADD WATER. To Open: 1. Shake bottle very well. 2. Remove protective band; twist off and clean cap 3. Invert cap and place on foil seal. 4. Press down to pierce foil, then turn cap a half turn. 5. Lift and throw away foil. 6. Pour formula. Your baby's health depends on carefully following these easy directions. 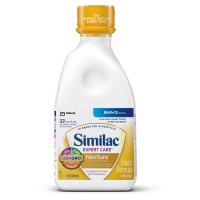 Ask your baby's doctor if you need to boil (sterilize) the empty bottles before adding formula. Shake bottle very well before opening. Pour formula into bottle or cup. 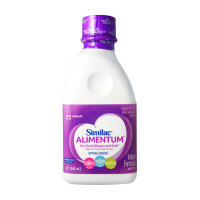 After feeding, throw away any formula remaining in bottle or cup. Storage: Recap container and prepared bottles immediately. Store in refrigerator and use within 72 hours. Store unopened containers at room temperature; avoid extreme temperatures. Do not reuse container. 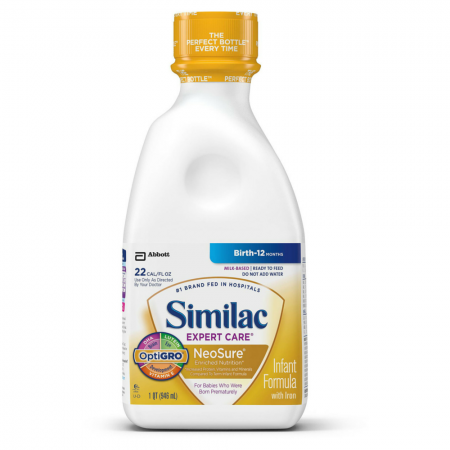 Uses Use Similac NeoSure to give your baby a strong start in life: An easy-to-digest milk-based formula that provides all the nutrients your premature baby needs. DHA and ARA, special nutrients found in breast milk that are important for brain and eye development. DHA and ARA have been clinically shown to improve visual development in preterm babies. 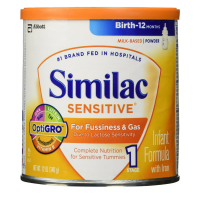 Warnings Do not use this container to warm formula. Never use a microwave oven to warm formula. Serious burns can result. CONTAINS MILK AND SOY INGREDIENTS.